Tell this story while building a "temple" out of blocks. WEDNESDAY Teach all or some of this Solomon Builds A Church Temple lesson and activities from Mission Arlington. With the children, build Solomon's Temple out of Duplos. Illistrate how there are three sections in the Temple. THURSDAY As a class project or individually, Make a Gingerbread Man Doll Chain using this pattern from DLTK-Kids and decorate. Act out The Gingerbread Man story with puppets (or stuffed animals) of the animals. Practice until the children can act out the story. FRIDAY Play with Gingerbread Play-Dough (recipe below). Add gingerbread cookie cutters, rolling pins and a cookie sheet. 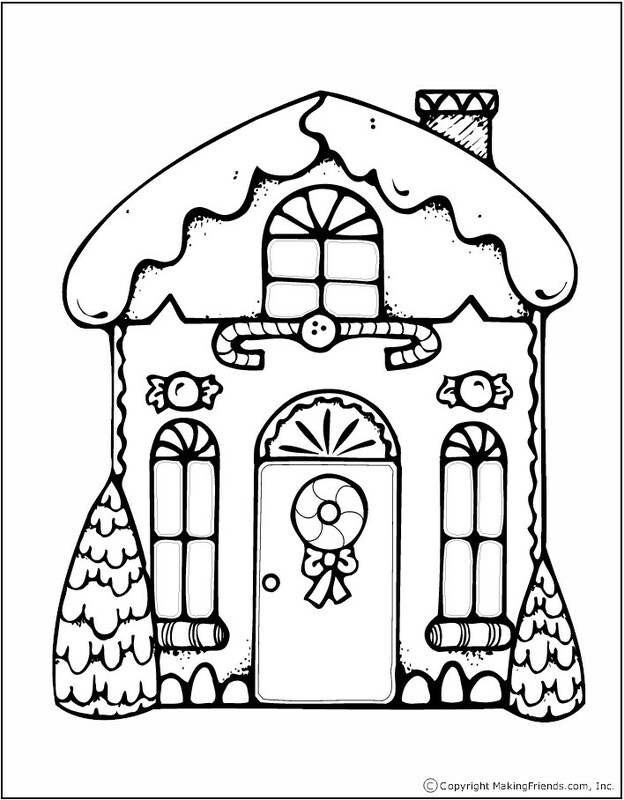 Color and decorate this Gingerbread House from Making Friends. Use Fruit Loop-type cereal to glue on after the house is colored with crayons and/or watercolors. Combine: 2 c. flour, 1 tbsp ground ginger, 1 c. salt, 1 tbsp ground cinnamon, 1 tbsp ground cloves, 2 tbsp vegetable oil, 1 tbsp ground allspice, and l c. water in a large bowl. Mix together well and knead them until smooth. Store the dough in airtight container and refrigerate until ready to use. Until half past ten. Make a simple Gingerbread House: Using graham crackers, glue them with frosting to make a house. Decorate the house by gluing (with frosting) candies.